Launch day is upon us for the latest entry in Microsoft’s vaunted Halo franchise. I talked a bunch yesterday about the pressure that I think this game is under to succeed, especially in this first launch week. So today, now that I’ve put a couple hours into messing with customization and playing a few rounds of Warzone, I thought I’d talk a bit about what I saw and felt. 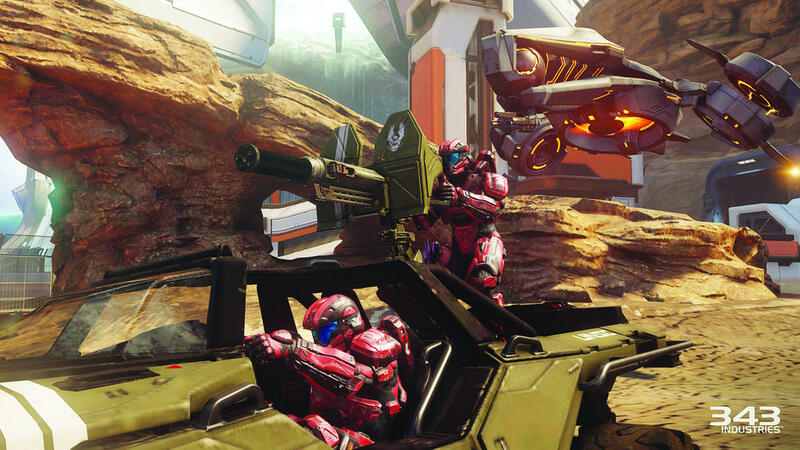 Halo is very much a “feel” game – especially in the online multiplayer. Before I ever step foot into the online arenas in pretty much any shooter these days, I look at the customization options that are available to me. In Halo that used to just be emblem and armor colors, but has since evolved to include a whole slew of armor pieces and helmet options. Halo 5: Guardians takes that even farther than every before. In previous games there were maybe 20 or so helmet choices – in Halo 5 there are 75! That extends to the armor choices, and there are even more options than to customize than ever before. Visor colors, weapon skins, emblems, the stance your Spartan takes in menus and even assassination animations all can be changed to your personal choices. I think today I spent maybe 20 minutes or so just looking at all the different things I could tweak, and changing my actual setup with the very few options I had at launch. What I’ve always liked is that Bungie and 343 have always put some incentive behind customizing your Spartan with achievements. I love that, mainly because I always think that the more that players can make their in-game avatar their own creation, the better. Once all that is handled though, it’s time to dive in to the arenas. I went with Warzone, both because it’s new, and also because I’m kinda waiting for my fireteam to play Arena matches – at least this week. Warzone had definitely piqued my interest pre-launch though. I always thought that Big Team Battle was the best way to experience the classic Halo gameplay, and Warzone is BTB done the Next-Gen way. Player vs. Player vs. AI in a massive 24 player lobby is tailor made for the world of Halo. With the new Req system that lets you pick weapons and vehicles as you want them – assuming you have the energy to buy them – it makes each game a lot more dynamic. It’s not about waiting and timing the spawns on power weapons and vehicles anymore. It’s about keeping an eye out for players doing well and knowing that they could be pulling a Scorpion out any time now. Keeping those power weapons banked for those moments is a really big tactical move now. All that is great when you realize that the default Warzone mode is essentially a big version of Battlefield‘s Conquest mode. You need to grab the three control points in order to open up the enemy team’s Energy Core, then blow it up. It’s Conquest, but works both ways – there’s no offense/defense, it’s just push forward until you win, or counter any attack coming your way. That in-and-of itself would be awesome for Halo in a BTB setting, but then you add in the AI enemies. They pop up every few minutes, with callouts and everything. Your team is rewarded for killing them – the harder the enemy, the more score your team gets. It’s entirely possible to win a match without holding onto the control points the most. Pick off the bosses, keep slaying enemy Spartans and you will have a win on your hands. All in all, I really think that Warzone is a really fun way to play Halo – it’s the perfect Halo experience really. It’s everything that the franchise has always been about in one setting. I really hope that we’ll see more than just the three maps available right now as the DLC season kicks off. One thing that I always keep in mind when I play Halo is how it makes me feel. Halo has always been a game that’s close to my gaming core – some of my favorite gaming memories are from huge LAN parties back in High School in the original game. And so far, with a pretty small sample size, Halo 5 is doing a really good job of keeping that feeling there. Each weapon feels great – and different. Sure there’s some ducks in the bunch – I’m looking at you Plasma Caster – but the most important weapons all feel just like they should. I think that the opportunity for those special moments might be better than ever before with this game. The new mechanics make it easier than ever to move around the maps and get into combat – and then maneuver in combat. I can definitely see map knowledge and movement being more important than it has been in a long time here. Again, it’s still really early, but I gotta say, I have a good feeling that Halo 5 might be the game the series needed it to be. Tomorrow is the launch of Halo 5: Guardians – actually the seventh Halo game in the main series – and with it I want to talk a little about expectations with big games like this. This is a tricky one for me – Halo has always been a special franchise to me. 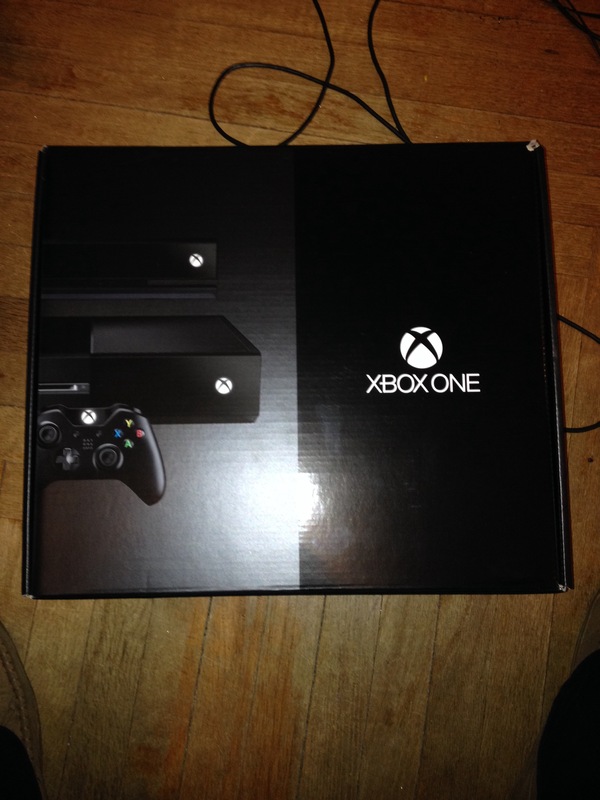 It’s responsible for me even getting into the Xbox brand. It proved to me that an FPS could work, and work supremely well, on consoles. And the series proved to me that online multiplayer was here to stay on consoles as well – and Xbox Live really owes its success to Halo 2 to this day I think. So for me to be truly objective here is certainly a little difficult. I want this game to succeed so badly – and it’s from that mindset that I got this post idea. Halo is an interesting franchise to me. It’s Microsoft’s baby – it’s their Mario, or Sonic the Hedgehog. They’ve used Master Chief as a Mascot for a long time now – 14 years strong. But Master Chief isn’t the same as Mario – they appeal to very different audiences. Master Chief is very much an adult character, Mario is more for everyone. And it’s for that reason that I don’t think Halo can be treated as a sure-fire hit every time they put out a game. Whenever Nintendo puts out a major first-party game, it’s almost always a top-shelf quality experience. So far, Halo has had a similar track record – but there’s a variable that I think we need to talk about: competition. For those first three games, there really was no other shooter on the same level as Halo to give them a run for their money. Call of Duty was still growing into the behemoth it is now; Battlefield had yet to truly come to consoles, and any other potential threats were old horses on their last legs. That’s a very different scene that what Halo 5 faces this year. Destiny, Call of Duty, Battlefield, Battlefront and Titanfall all still have strong playerbases, and I don’t see any of those franchises going anywhere anytime soon. 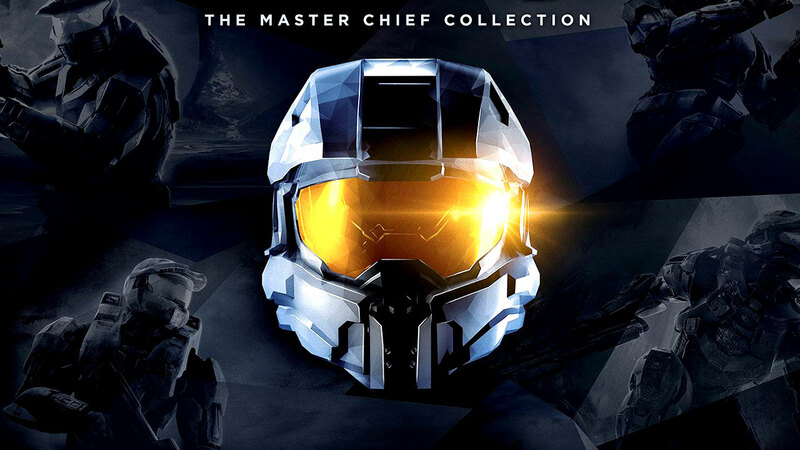 With that, there’s one other thing hanging over Halo 5: Guardians – and it’s 343’s Master Chief Collection. Last year’s celebration of the Halo franchise should have been a win-win-win-win no-brainer. Unfortunately, the difficulties of running four different game engines, plus a UI that had its own issues just proved to be too much, and the game was a huge debacle. There’s really no way to go into Halo 5 without having that in the back of a fan’s mind. For me, 343 really has to prove that they can run this franchise for the future. 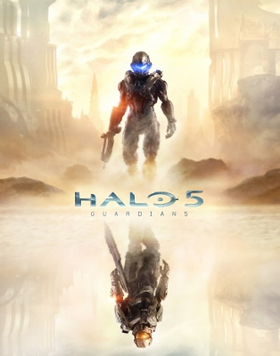 Even Halo 4 was kind of forgettable to me – not bad, but not a touchstone game like the previous games were. That doesn’t mean I think 343 can’t do it – they have the right people there for sure. They just need to show it. The early impressions seem to show that Halo 5 has the ingredients there too. Sure the story hasn’t gotten amazing reviews, but these days, that’s kinda par for the course with FPS games. What really matters is the competitive multiplayer – that’s what keeps players playing the games for months or even years after launch. Halo traditionally has a multiplayer that does just that – keep the community involved for years after launch. Halo 5 is the biggest shake-up to the formula in a long time though, so I think this first week or two really will prove if the changes will work with full public servers. I hope to have some more concrete thoughts on the different new multiplayer modes and mechanics this week, it just depends on the servers working. MCC still is in my mind with that sort of thing, so we’ll just see how it goes. Last night I had the opportunity to finally run through the new raid, King’s Fall, that Bungie gave us in The Taken King. I, honestly, wasn’t sure when, if ever, I would be able to run through it this year. My usual fireteam only maxes out at four players, so we were at the mercy of finding two others; but I caught a break last night, with another buddy inviting me into his group. I may have made us go a little slower, just because I had no clue how anything worked since I stayed blind on the mechanics, we managed to finish the raid in just a couple hours – and only a couple wipes. So today I want to talk a little bit about this raid as it compares with the other two previous raids. Top to bottom, I think that King’s Fall is certainly the second best of the raids available so far. I still think that Vault of Glass is the best one out of the bunch – mainly because the entire raid is built around different mechanics that all make sense. Once you learn how Oracles and the Relic work, you’ve got the foundation to win, but you still need to pick up on the more minute details – like how best to max the DPS on Atheon. 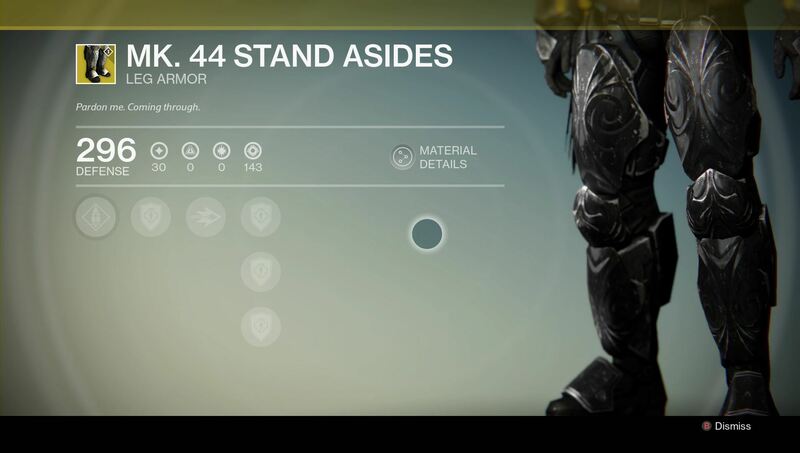 With Crota’s End, the mechanics were all streamlined – and generally had a built in margin of error. If you screwed up with the Relic in VoG, you wiped. If you mess up the lanterns in CE, you just move slower. In King’s Fall, fight mechanics return and they’re more varied than before. There’s a bunch of different things that you have to keep in mind – from the totem encounter to the Warpriest and so-on through the raid. What I like is that they’re easy to grasp, but there’s still a high emphasis on execution. If you slip up on any number of parts, you wipe. 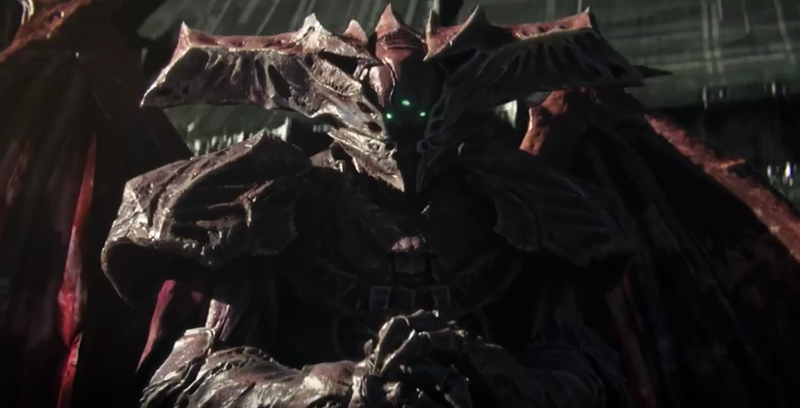 Screw up the order on platforms in the Daughters/Oryx fight? Wipe. Die too much to Golgoroth? Wipe. I like that there’s a bit more difficulty to this one. It’s a much more execution based raid. Crota had a lot more wiggle room. The mechanics behind the encounters in King’s Fall are where I think the raid shines – especially compared with Crota’s End. Each fight has its own feel to it. The Annihilator Totems and Warpriest both have your fireteam splitting up to handle the debuffs and glyphs. Golgoroth is the opposite – your fireteam will be bunched up in the pool of the reflective light to DPS him, with one other member holding his gaze. The final two fights – Deathsingers and Oryx – combine both parts, you have to split up to spawn the platforms, then group up for DPS. That makes the fights a lot more engaging than just DPS battles – as a community we’ve complained about bullet sponge bosses, and these bosses help combat that feeling with their mechanics. We were able to burn the Warpriest in two damage phases last night. Weapons of Light and Shadowshot turn high HP bosses into a lot more manageable numbers with their major damage buffs. Where I think King’s Fall isn’t as strong as the other raids is the reward phase. I like that you open the chests instead of just getting them dropped into your inventory. But I think the weighting on certain items is a little strong. Moldering Shards drop like candy. I thought I made out well with two weapons and an armor piece, but there were multiple people in my group that got another reward in addition to that – four raid drops in one go. That’s a bit more in line with what I think raid rewards should be. When you did VoG, you knew that you were getting – rewards after each major encounter. Sure the loot table was a lot more spread out, but you knew you were getting a good chunk of raid loot. I just think that if you’re doing this difficult, end-game level activity with unique loot, you should be guaranteed to get that unique loot. All things considered, I think King’s Fall is a really good example of how Destiny can really shine. The building blocks are what really make the game so fun – the weapons, the abilities, the movement – that when they have a well designed environment like the raid, they really show off. Just like Vault of Glass made the rest of the vanilla story look silly, King’s Fall really just makes me wish that the entire game was that polished and fun – and that with The Taken King being way more put together in general. The sales data for each console has recently been released. As they always do, the NPD reported on the numbers of consoles sold, and the manufactures then report those numbers to the press. I saw a couple of tweets talking about Microsoft’s take on the sales figures. In particular that they focused on their year-to-year growth continuing to be strong. What I saw was a lot of people shouting that, based on that thought, that Sony is “Winning” the console wars. And sure, that probably does mean that the PlayStation 4 outsold the Xbox One still, but thinking of it that frame of mind is just plain asinine. It still bugs me that we all frame the world of console gaming as a “console war” that has to have a winner and a loser. We look at frame-rates, resolution, pricing and sales data with a microscopic focus and compare the most minute details. It all comes out of the huge boom in the 90’s with SEGA and Nintendo going after each other. And during the 90’s that actually made sense. We were an industry that was struggling for a foothold in the mainstream, and needed the competition to get that foothold. But that was twenty years ago – the industry has blown up, not only in sales numbers, but the money that comes with them. We don’t need to have a war anymore – at least not within the industry. Competition is healthy sure, but going for the jugular isn’t. I would much rather see the industry start looking at more clearly defining ourselves versus the other mainstream entertainment choices – movies and TV. For the most part, a lot of this mentality is driven by the fans. We feel so fiercely connected to a brand that we see the others as an adversary. I definitely think of myself more as an Xbox gamer at this point – mainly because I really love the Xbox Live and Achievements systems. But I don’t hate the PlayStation. In fact, I think that the PS4 is a really great system – PSN has grown up a lot in the last five years. Nintendo will always have a special place in my heart – I still think they make the most innovative games of the three big names. We are living through the brightest era in gaming now – the industry hasn’t ever been bigger. At the end of the day, what these NPD sales figures say isn’t that Sony is winning and Microsoft is losing. What they say is that Gaming as a whole is winning. And that is really the most important thing. We are about to hit the super crazy season – in the next five weeks, there are five major triple A titles coming out. Tomorrow is Assassins’ Creed: Syndicate, next week is Halo 5: Guardians, after that on the 6th of November is Call of Duty: Black Ops III, on the 11th we get Fallout 4 and the week after that marks the return of Star Wars Battlefront. That’s possibly the best lineup I’ve ever seen in such a short span of time – it’s hard to call now, but it’s entirely possible that there are multiple Game of the Year candidates in that lineup. And in that lineup is a game trying something a little different with its launch day events. That game would be Master Chief and Spartan Locke’s story in Halo 5: Guardians. Microsoft is starting to really push the hype train out of the station this week – there are plenty of people out there with the game as we speak. Twitch streamers, Youtubers, and press all got their copies over the weekend. That’s a pretty big cushion between early release copies and launch. 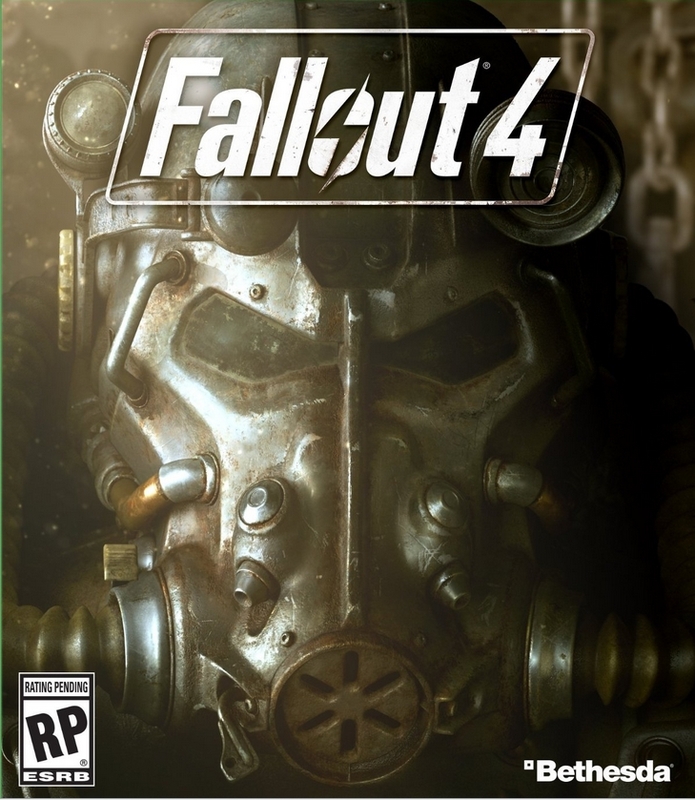 My only personal experience with something similarly timed was with Skyrim – we got our copies at G4 two weeks early. What that means is that the initial launch content from those places should be really strong – not just reviews, but I would expect to see some more deep dives on particular portions of the gameplay, like the new Warzone or Breakout modes online. It also keeps the hype in mind – I’m sure they all have NDA’s signed so specifics can’t be discussed in public, but they can certainly talk about feelings about the game. That alone is pretty novel an idea from Microsoft – get the core base of the game engaged with it early, and hope that their hype spreads to the bigger market. What I really think is interesting here though is the actual launch day festivities. Generally, with these huge games, we see launch parties and fan events. With first party games like this they get held at either first party stores, or at Gamestops in bigger cities. Every once in a while, you’ll see a studio rent out a theater or something like that. In this case, Microsoft is forgoing all that and doing it digitally. Huh? A digital party. Seems a little weird to me, but with streaming growing as quickly as it is, it kinda makes sense. Especially when you look at who’s doing it – Microsoft. They’ve been pushing the digital side on the Xbox One since launch, and two years later we’re starting to see it really bear some fruit. Now, do I think that this will be a rousing success – not really. Sure I expect people to tune it – maybe people on the fence about the game, or people waiting for their physical copies to install. But I am more interested in actually sitting down and playing a bunch of Halo again on the 27th. After the debacle that was Master Chief Collection, I am really hoping that 343 gets this right. The story looks solid – I like the idea of pushing four-player Co-op here. But what will really seal the deal is the multiplayer – if it has the same issues that MCC had, the series might have a real struggle regaining its audience. All signs point to the competitive scene being strong, and the actual multiplayer being a return to form, but it’s impossible to say for sure until we’ve played it for a couple weeks. Luckily we only have one more week to wait. The busy season has been running pretty hard so far – with Destiny, Battlefront Beta, Rainbow Six Beta all getting some serious playtime. That said, we’re about to really hit the crazy time with five major releases in the next month coming out, along with others too. So news has been a bit on the backburner for me, as I would rather focus on writing about the games I’m playing. That said, I did see a couple headlines recently that I think are worth talking about. I saw this one earlier today, and I’m torn on it. EA has doubled down on their comments from E3 about HD remakes. 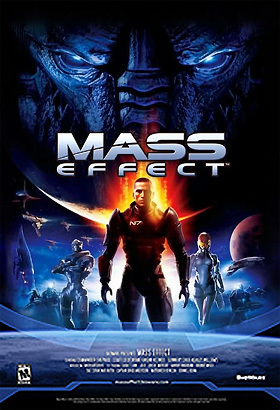 Don’t be expecting to see an HD Mass Effect collection anytime soon, or any other last-gen EA classics. Now that we’re deeper into the current-gen of consoles, I’m starting to move away from wanting HD remakes to fill out my library. So in that regard I’m glad to see EA focusing on making new games. That said though, there are a couple games that I would really have liked to see get the sprucing up – Mass Effect, Dragon Age, and Dead Space all jump to mind. We’ll have to see if they relent in the future, but for now, don’t expect anything like that. This week we started to see just how Microsoft plans on launching Halo 5: Guardians. Based on what we’ve seen so far, it looks a lot like a soft launch style event – Twitch streamers got the game, along with members of the press and community members. I also saw today that the launch event will be held online, as they see more and more players moving to digital releases. Again, I’m kinda torn here – in general, if there’s a game that I really like and want to support totally, I buy it physically. I know that makes no sense, but it’s just how I’ve kinda grown with gaming. We’ll see how it works out on the 27th. Over the last month or so, Bethesda has been releasing a whole bunch of videos for Fallout 4. Each one has detailed just what each of the seven S.P.E.C.I.A.L. stats actually entail in game, done in the style of old PSA safety videos. It fits so perfectly with the style of the game, and they act as perfect ways for new players to get some info on the game; and at the same time, series veterans have some great videos to dig through for details. This week they also put out the Live-Action trailer – not quite the same level trailer as say the Destiny Live-Action ones, but still really cool to see. It’s got both the humor of Fallout, while still showing off some action. Plus it’s got Dion’s “The Wanderer” as the soundtrack, so I’m all in on that. November 11 can’t get here quick enough.